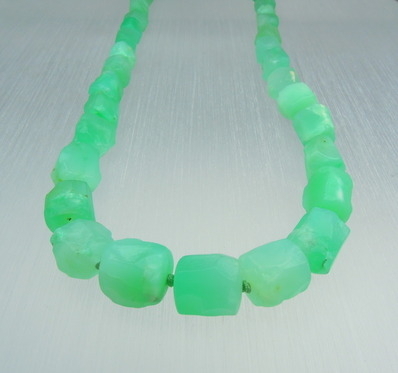 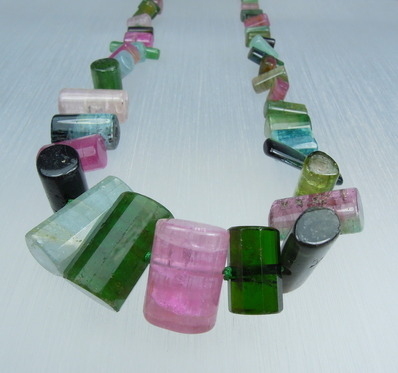 Our selection of necklaces in semi-precious stones consists of a wide range of colours and diversity of qualities of stones like for instance; Lapis Lazuli, Amethyst, Turquoise, Chrysoprase, Charoite, Malachite, Aventurine…and many more. 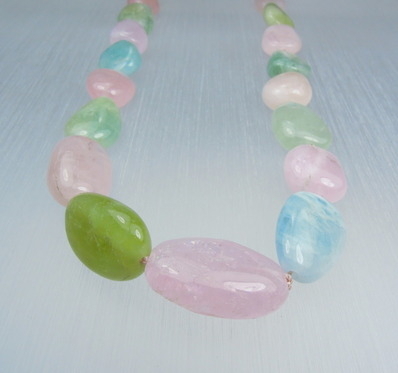 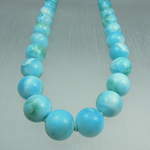 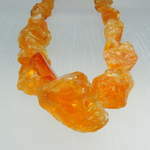 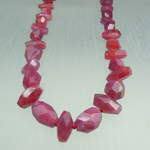 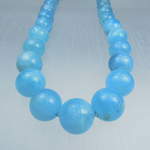 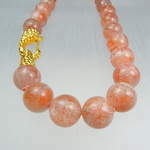 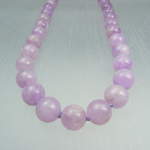 Our variety of necklaces is regularly enriched with new kinds of stones and shapes. 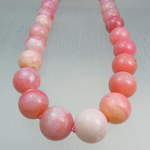 We like to give you advice with your selection of colour or shape wich suits you best. 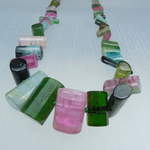 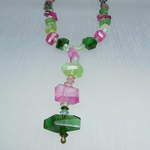 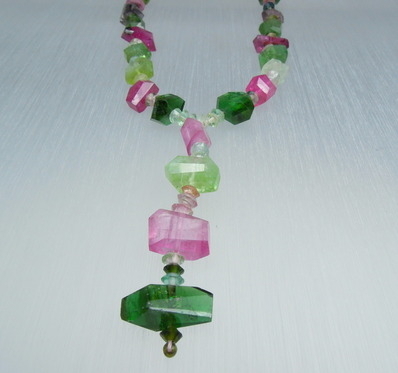 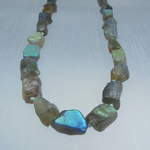 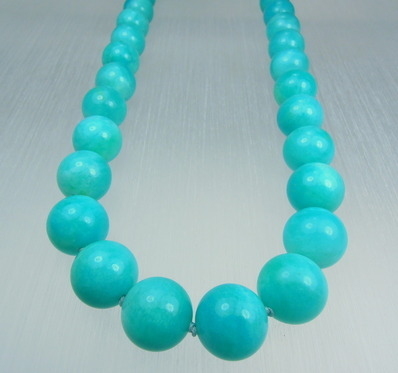 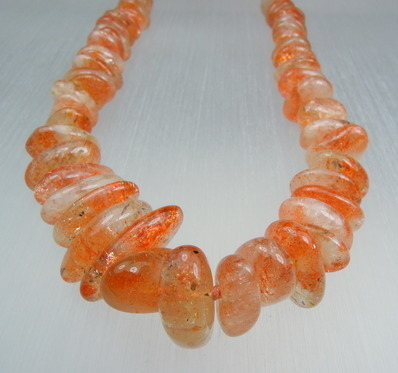 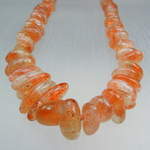 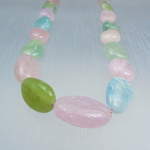 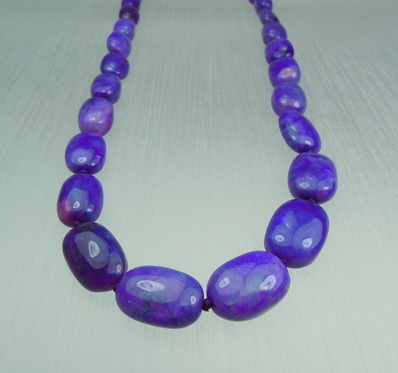 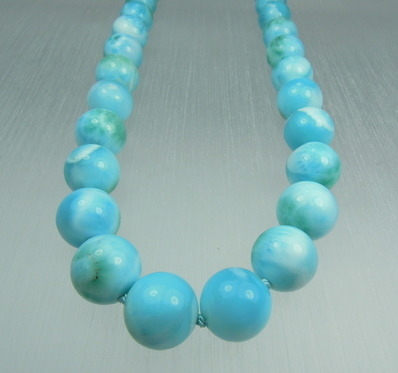 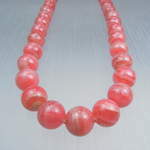 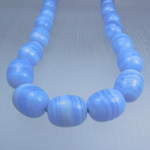 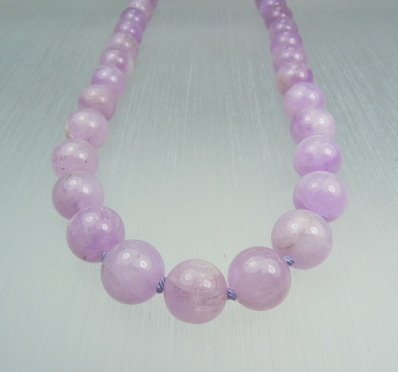 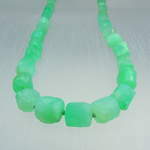 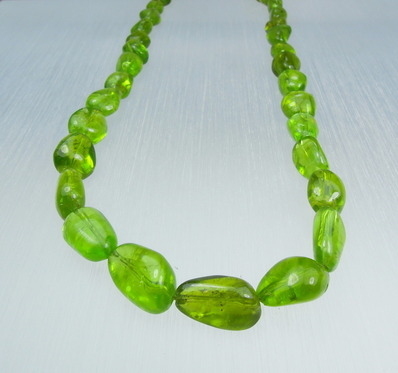 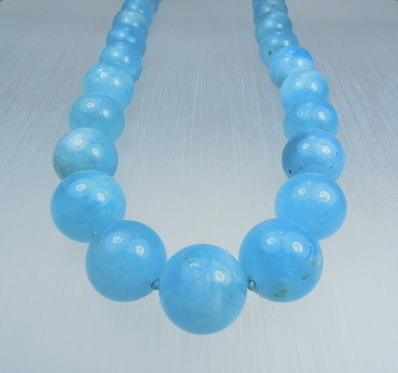 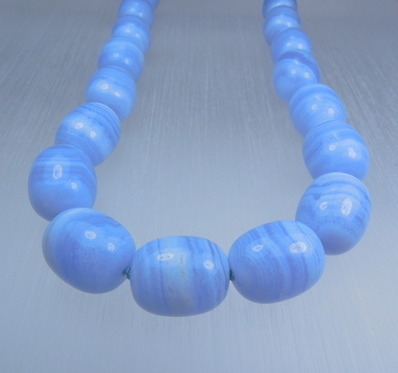 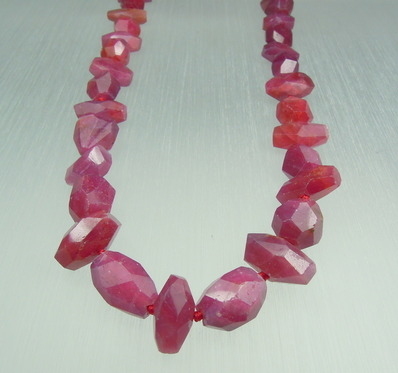 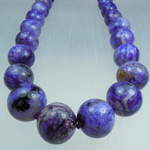 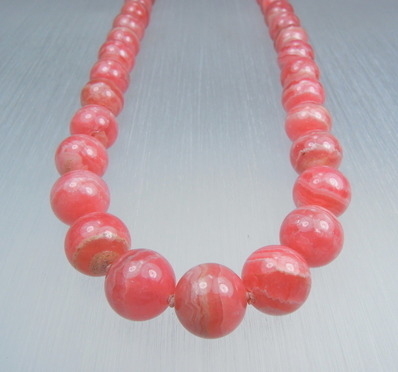 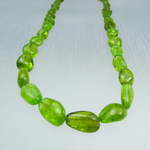 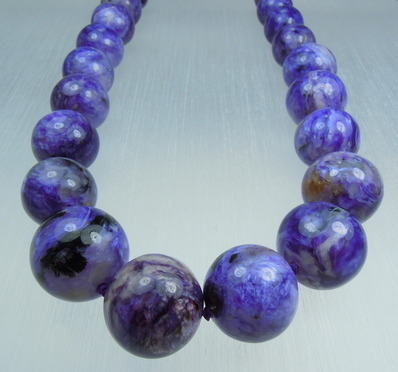 You could also combine your own necklace with the stones or shapes of your choice (depending on stock). 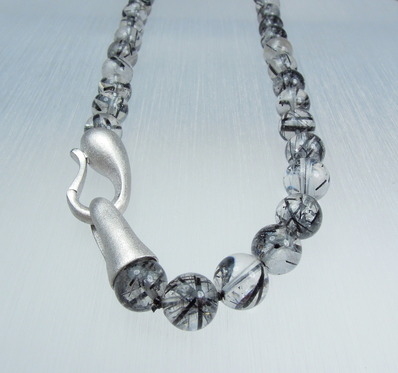 Each necklace is finished by ourselves with the best possible care.